The second article in this series includes two meditations that can help couples with conscious conception, which was discussed in the first part- “Reiki Babies and Archangels – Part 1.” You can use these meditations to guide clients that are trying to conceive and also to help yourself if need be. Do keep in mind that your experience with the meditation would be unique and will flow as per your need (or your client’s need). Use this as a reference but trust your intuition and make changes as you feel guided to. Archangels Raphael and Gabriel can be called on for help with conception, pregnancy and birth. Here is a powerful fertility meditation with Reiki and Archangel Raphael that can help heal blocks in the reproductive system and prepare it for conception. It can help those who are trying to conceive naturally as well as those receiving medical assistance. It can be done by men as well as women. Light a green candle in a quiet clean space. Burn some incense and play soothing music. Lie down and relax with a few deep breaths. Call upon Archangel Raphael. Visualise him seated by your side. Ask Raphael to place his hand over your reproductive system and send his healing emerald green light through it. Visualise this light clearing away all blocks and making the system fertile ground for conception. Next visualise Raphael placing a ball of Reiki infused with the symbols of your choice inside the system. This will ensure the energy keeps working until your next meditation. 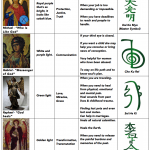 Thank Raphael and Reiki for their help. This meditation helps couples connect with Gabriel and seek her assistance with conception. It also helps extend a loving invitation to the soul that would incarnate. Light a pink candle in a quiet clean space. Burn some incense and play soothing music. Visualise her standing in front of you or sitting beside you. Tell her of your desire to bring a baby into this world. Pour you heart out to her. Share your fears and worries. Request her to help you release your fears and blocks that may be standing in the way of conception. Ask Gabriel to carry your message of love to the soul that would benefit most by being born into your home. Next feel Gabriel placing her hands on your heart and sacral chakras and blessing them. Visualise a pink mist descending into the room and enveloping you. At this point, visualise Archangel Gabriel, placing a baby inside your womb (inside your partner’s womb if you are a man). Next request Reiki to form a cocoon of energy around you. Draw the power symbol and Master symbol (for third degree practitioners) on this cocoon and seal the energy. Take a deep breath and completely let go of any need to control the outcome. Trust that conception will happen in divine timing. Thank Gabriel and Reiki for their assistance. 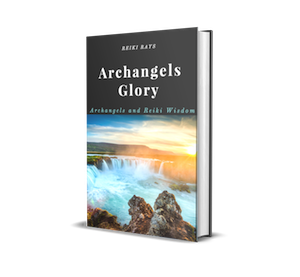 The next article in this series would focus on child adoption and the roles played by Reiki and the Archangels in the case of adopted children. Its is very very nice and helpful article i m giving treatment to a frnd for some gynec problems should i call archangel Raphel or archangel Gabriel. If it is a general gynaecological problem, you can call on Archangel Raphael alone. But if the problem is to do with fertility or pregnancy, you can call on both Raphael and Gabriel.